Davis College of Business | Jacksonville University in Jacksonville, Fla.
Why JU Davis College of Business? ​​​​​​​​​Whether you hope to jump start your career, rise in your organization, or just want to reach higher in business, now is the time to discover how you can grow. The Davis College of Business at Jacksonville University prepares you​ to stand taller and rise to the top! The JU Davis College of Business is the only AACSB accredited private business school in all of North Florida and South Georgia. This region encompasses the most dynamic and economically diverse industries in the Southeast United States. Major international ports, logistics and transportation companies, global financial services companies, consumer goods and services organizations​, information technology, and world-class healthcare organizations operate within this area and provide rich opportunities for internships and careers. 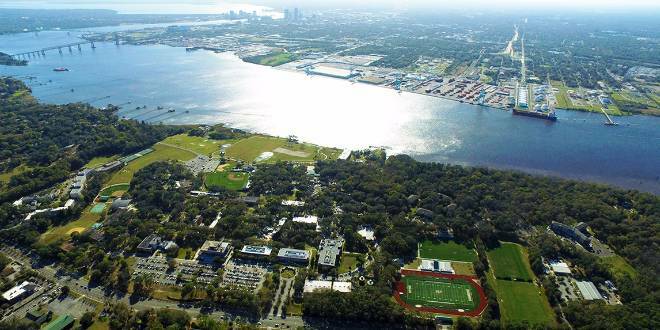 Jacksonville University and Davis are well-recognized partners in the growth of all these industry sectors and part of the cultural and social character of the community. JU Davis has a proud tradition of training top C-level executives in a number of industries and is rooted into the large network of alumni and corporate partnerships. Our role and place within the Jacksonville community is one we have earned through high quality, extremely relevant and engaging programs.